From legend to reality - Polybius is here! Here's a video where I talk you through the game's first seven levels, explaining how things work. Legends tell of an arcade game that was deployed in the early 1980s, but then vanished without trace, apparently after entrancing its victims and permanently altering their mental states. 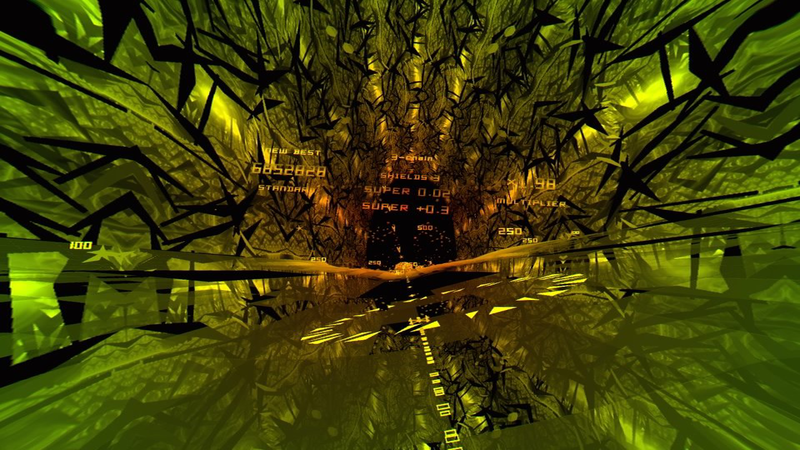 In the legend Polybius was malign, twisting the minds of its addicted users. 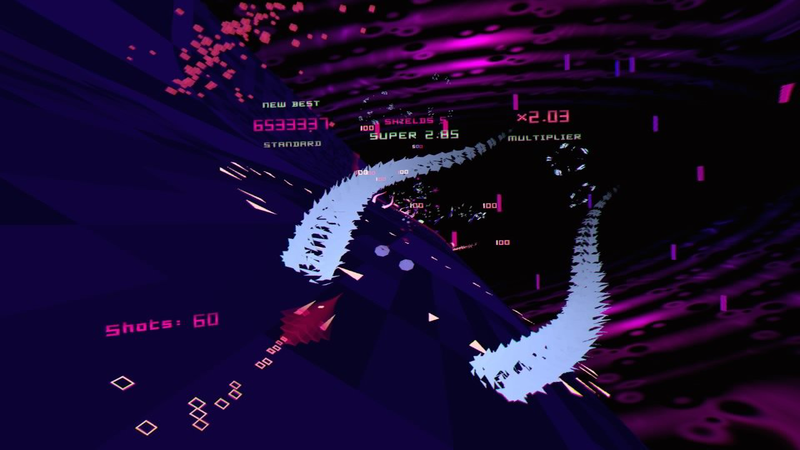 We have no desire to bend people's brains in any kind of a bad way, but given my history with lightsynths and trance-style shooters I thought it'd be fun to do an interpretation of the mythical Polybius, make it entrancing, but certainly not harmful. We hope that the only mindstate changes our game will elicit in its users willbe an exhilarating speed rush, an uplifting euphoria, and a happy smile across your mind once you take off the headset and return to real life. We aim to achieve that through fast, flowing gameplay that is exhilarating and relaxing at the same time, delivered directly into your eyeballs at 120 frames per second. The game is tuned to deliver an intense speed rush whilst also being one of the most comfortable and safe experiences you can have in VR - despite the game's fast pace, because of the way it is designed there is very little chance of encountering 'VR sickness'. The bossless gameplay flows smoothly from level to level and it's intended that you finish each play session feeling happy and pleased rather than frustrated. You won't walk away from Polybius feeling stressed and angry. 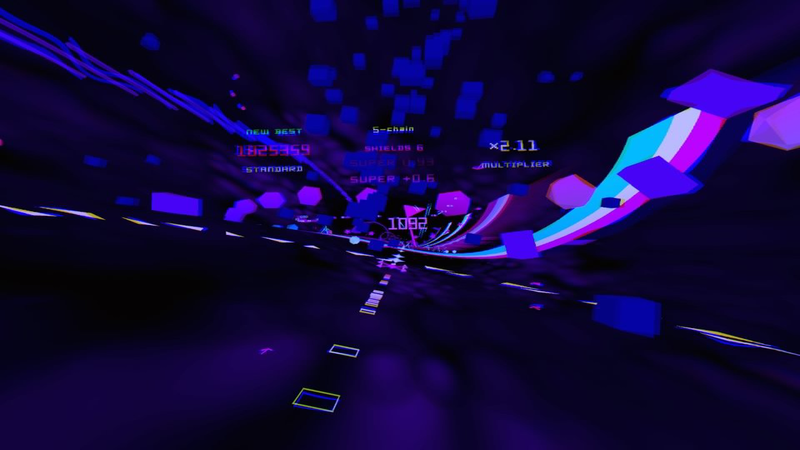 Fifty levels of gameplay are accompanied by a large soundtrack of excellent tunes by the same team who did the award-winning music for our last opus "TxK" on the PS Vita. You'll be playing just to hear the next tune as well as to get the highest score! High definition Polybius video (.wmv) be warned, about a gigglebyte! A PC version is also in development. We have something for everyone ... T-Shirts are really nice, especially in dark colours, the Hoodie is pretty good and comfy. Keep an eye out, we'll probably make some new stuff soon. Also watch out for several counterfeit Polybius items on that website - I don't mean the older Polybius interpretations which are all fine, just a few people seem to have lifted our version's logo directly. Those copies all appear to be more expensive than our originals too! Just be sure you're ordering it from our page on that store and not somebody in Nigeria or wherever. 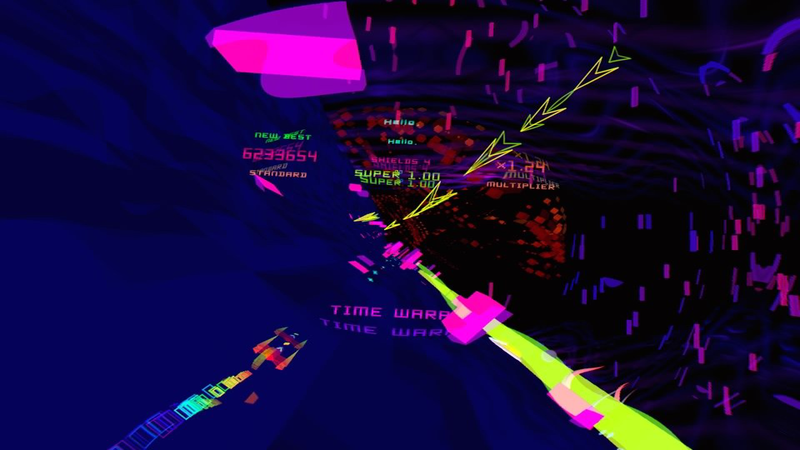 What type of game is Llamasoft's interprtation of Polybius? 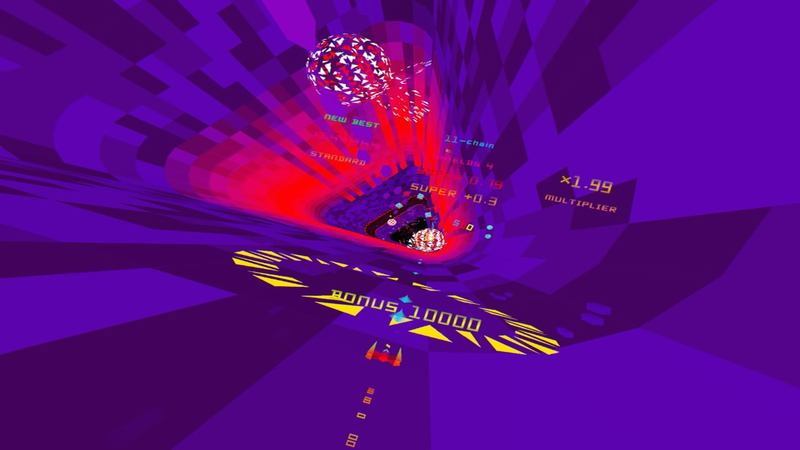 Polybius is a fast trance shooter. It's designed to efficiently sweep you up into "the zone", where you settle into the gameplay and are cuddled up, surrounded by light and sound, experiencing a pleasing flow state that some users have likened to a session of meditation. The core shooting mechanic is combined with elements from racing game genres, in that you aim to fly as fast and as smoothly as you can - the faster you are going, the more points you score for everything you shoot. The fastest and smoothest course you can find through a level will usually be the highest scoring one. The gameplay is bossless - there are no sudden difficulty spikes to gate your progress, and you'll never be sent back or held up in a level until your game is over. Difficulty ramps smoothly with progress. We don't want you to leave a session feeling upset and stressed - quite the opposite. 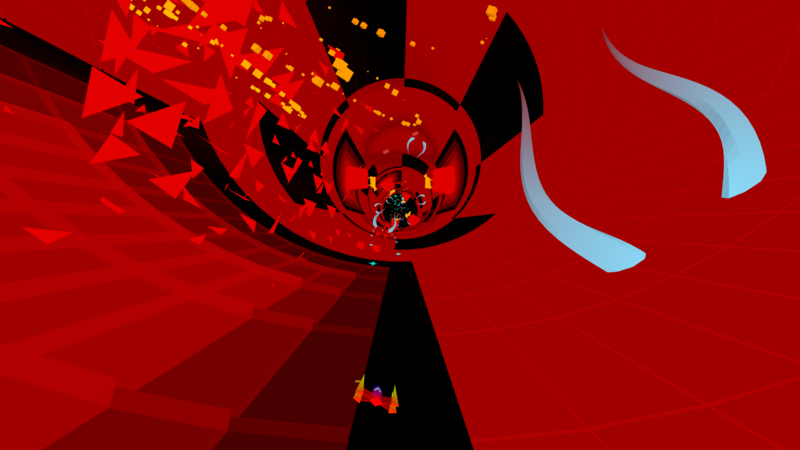 Three gameplay modes are provided - Standard, which incorporates our tried and true 'Restart Best' system allowing you to build up a best score over time, dipping in when you feel like it to improve your overall score, or your score on any level; Pure, which challenges you to play from the start with fewer shields given back at the end of each level; and YOLO, in which you are never awarded any extra shields and must play from level 1. Online leaderboards are provided for all three modes. Is it dangerous, like the game of legend was supposed to be? Absolutely not! It's actually a very relaxing experience despite the speed and trippy colours. It's extremely safe as a VR experience, since we avoid things that can cause 'simulator sickness' - no sudden accelerations, no yaw or roll. Its only intent is to make you feel good. 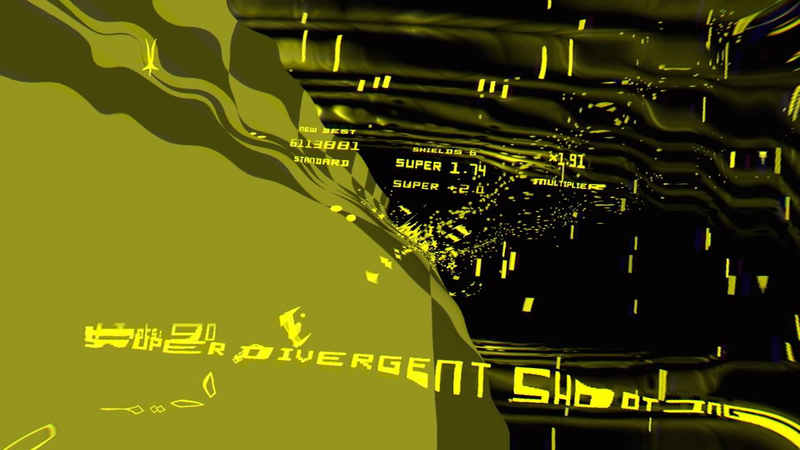 We only ask that you do heed the photosensitive epilepsy warnings - it's an immersive game with plenty of bright, intense colours moving around at high speed. 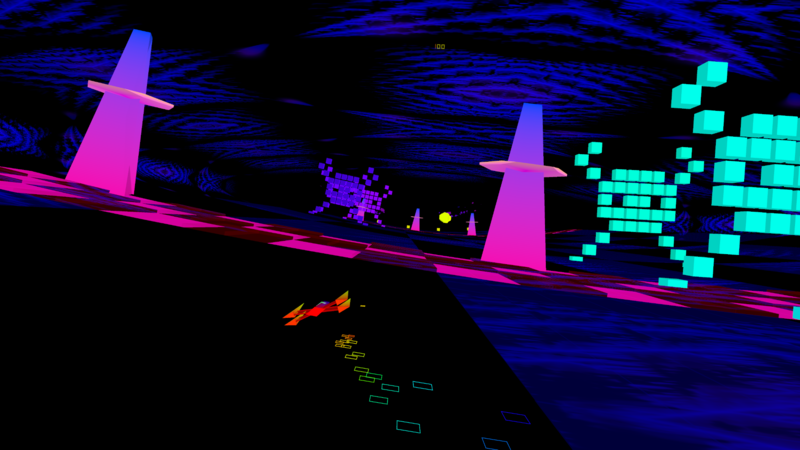 If those things affect you adversely then Polybius might not be the game for you.